For your special activities, conferences, meetings, symposiums and family gatherings, our explosive cocktail blending humour, history and interactivity will conquer the minds of all your guests. 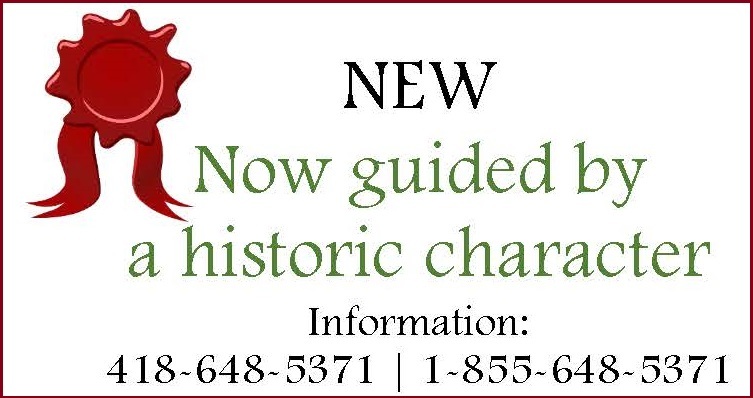 Period activities are our way of inviting you to meet the characters that embody the history of the Plains of Abraham, and to experience their everyday life. Between theatre and re-enactment, period presentations are meant as a dynamic approach to help us discover our heritage. Put on your caps, mittens and snowshoes and learn about winter sports practised on the Plains of Abraham. Join a snowshoer from the early 20th century to relive the Belle Époque of these winter strolls. A one-of-a-kind recreational activity that will make you shiver with delight. Traditionnal snowshoes, arrow sashes, lanterns (in the evening) and hot chocolate included. "It was beyong our expectations. Very good guide and excellent path. It is worth doing it again!" - Marie-Ève G., Polycor, Quebec. Learn all about the historic battles and take a ringside seat to watch a friendly clash between generals Wolfe and Montcalm. To decide who will be the winner between these two generals, a contest is organized in which you will take part. A musket loading competition, military and surgery quizzes will seal this thorny situation permanently. "The activity was interactive and incredible. Guides were funny, very lively and good actors. Bravo and thank you! What a good activity! The use of the interactive whiteboard was excellent and gave a visual support that makes it easier for French immersion groups. The equipment = excellent!" — François B. and Maxime A., Université Sainte-Anne, Pointe-de-l'Église, Nova Scotia. 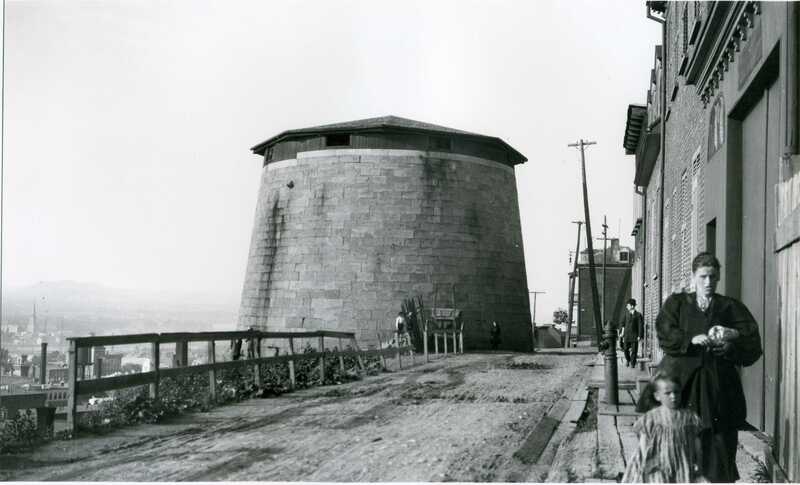 Meet an officer of the peace living at the Martello Tower 4 at the turn of the 20th century. He will describe a past era and conditions bordering on the appalling. Shameful diseases, epidemics, public punishment, dubious hygiene, fights and violent deaths were but some of the pitfalls faced by the citizens of Québec. "And this is what is known as the good old days," your host will state, with a touch of humour. Listen to some fascinating historical anecdotes, view period objects, some punishments meted out (with demonstrations!) and tour the premises. Accompanied by a member of the Canadian militia, learn about the history of the siege of Québec and of the battles of the Plains of Abraham. In an evocative, interactive setting, find out about the crimes, punishments and laws in force. Take part in an incredible immersive screening featuring original, often moving accounts of those who lived through the battles of the Plains of Abraham. Then, join in and explore military life from every angle. Finally, admire treasures from the magnificent collection of Artefacts in the identities exhibition. New: learn more about law and order during the age of the famous battles. Try the iron collar (pillory), play a drum, unlock the door to the prison cell and learn about wartime crimes! Finally, explore the Museum's treasure trove of magnificient artifacts. Battles is a unique journey that features a multimedia presentation of innovative quality, a lively exhibition, and an eye-popping experience that will plunge you into the heart of the Seven Years’ War and the continent’s historic destiny. "What an exceptional guide in every way: giving the content, complementary information that was relevant and abundant, perfect French and English, appropriate and engaged acting. He’s worth one million dollars! Our two groups of Canadian Studies Master Degree and New France literature were under his spell!" – Anne T., Carleton University, Ottawa, Ontario. Learn about the lifestyle of soldiers stationed in the Martello Towers together with British officers, an interactive historical activity on the military life of soldiers who served with the Royal Artillery during the War of 1812. Competition, quiz and period objects in an authentic decor. The two famous generals get a new lease on life and come to you to present a face-to-face encounter as dramatic as it is interactive. This encounter being of varying length, the two generals will adjust their aim and performance to fit your clientele and your activity. * A minimum fee will apply. ** Travel expenses may apply beyond 50 km. *** Variable depending on season. A reservation is mandatory for every activity. A dining-room can be available on request. Prices and details are subject to change.